Congratulations to the Marching Band on taking Second Place at the 2018 MCBA State Championship Finals!!!! ​Best Visual Effect!! Go Band!!! David M. Deutsch, Master of Photography, looks forward to photo-night at WLC. Photography will take place in the band room from 6:30 - 8:00 pm. (last session is 7:45). Click below for the order form. Many packages are available. Individual or groups! Chaperones for Concert & Symphony Bands need to be at the high School by 7:40 am...we will be leaving at 8:00 AM and returning about 1:15. Chaperones going with the Wind Ensemble need to be in the Band Room at 1:00 and plan to leave at 1:15. You will arrive back to the High School about 4:45. Please contact Missy Merger at mbmergner@att.net if you have any questions. It's time for the Jazz Band dinner and fundraiser. This is a really fun and enjoyable evening and we hope to see you, your friends and families there! This is the WLCHS Jazz Bands' only fundraiser which offsets the costs of music, Festival and equipment. In order to ensure a successful evening and full benefit as a fundraiser, your volunteer time and donations are ESSENTIAL! Please sign-up for as many volunteer opportunities as you can, and for as many items to donate as you can afford. We need 100% participation of our Jazz Band members as well as some help from those of you who simply love Jazz and want to see this program continue!! Tickets are available at www.wlcstickets.com $10 advance sale. The MSBOA (Michigan School Band and Orchestra Association) sponsors an annual "festival" in which students can choose to play in either a solo or ensemble performance. Students are responsible for selecting, securing, and practicing their own music on their own time. SCORING:Each student or group of students is evaluated by one judge and rated on a scale of 1 to 5 with 1 being the highest rating possible. Students or groups that earn a rating of 1 (or "Superior") are qualified for State Solo & Ensemble Festival which is held in March. The basic structure of State Solo & Ensemble Festival is the same as District. Soloists in grades 10 through 12 must perform Proficiency Exams which include scales and sight reading. Participating students that earn a rating of 1 or 2 at District or State Festivals are eligible to purchase medals. CONGRATULATIONS to the concert band, the symphony band, and the wind ensemble for earning all 1's at the District Festival on Friday, March 13, 2015. Band and Orchestra Festival is an opportunity for ensembles from member schools to perform a program of three pieces for adjudication, one of which must be from MSBOA's required list. District-level festivals are held at the end of February through the beginning of March. Each group is evaluated by three performance judges and one sight-reading judge. Best wishes for successful tests! You can do it. Plan and prepare! Students will be allowed to re-take any playing test within 1 week of the assigned test. To facilitate this, the retakes need to be done on Smart Music when possible. Students may play for Mr. Rogers right after school on one of the school computers. Students may also submit the retake from home via Smart Music if that is more convenient. No one will be forced to get Smart Music personally, as we have 2 computers at school with the program on it. It is, however, very convenient and helpful. Are YOU Ready for a VIKING Invasion? Viking Invasion is a school activity where many of the fall sports programs have an opportunity to play for each other. This is a great way to get our kids and families to get to know and support each other. At the Viking Invasion there is a free family picnic. The marching band families are responsible for bringing all of the salads, fruit trays, and veggie trays. There will be 500 people in attendance at the Viking Invasion. The food should arrive before noon, there should be a tent and/or tables set up next to the football stadium for the food. TROOPS ARE NEEDED the day of the event. Click on the link below to SignUp! Expecting 500 people…please make large size! The WLC Marching Band Spiritwear web page, hosted by the band’s vendor, Embroidery Artists, is open for orders from June 5 – July 13. THIS WILL BE THE ONLY OPPORTUNITY TO ORDER SPIRITWEAR THIS SEASON! The page is password protected. The password is MACYS2015 (case sensitive). Shipping costs have been disabled, as all orders will be processed at the same time and delivered at the Aug 5 meeting, right before Away Camp. YOU MUST ATTEND THE AUG 5 MEETING TO PICK UP YOUR ORDERS! Thank you to Marge Wright of Embroidery Artists for her amazing work on our spirit wear...you help make us look great! On February 14th, 2015, Winterguard is hosting a WGI Regional at Walled Lake Western. We are hosting 33 teams from Michigan, Ohio and Canada! This is an all day event and our largest fundraiser. We need a lot of volunteers to make this event run smoothly. There are a variety of positions we need to fill...there are spots for middle school and high school students to help as well. There is surely a position to fit the needs of everyone who would like to get involved! Keep in mind that our guard students keep up with their training and learning new skills by participating in this program. By supporting them, we are helping to improve the marching band program as well. Being the drum majors for this marching band has been more than we could ever ask for. We have witnessed integrity, autonomy, leadership, passion, and kinship beyond belief, and this allowed us to end the season with no regrets. We would like to congratulate all of you on such a great season. This includes every competition, every practice, every sectional, every time you’ve even thought about our band family. We have achieved our band’s third State Championship and were Grand National Semi-finalists. Most bands dream to have achieved what we have. Every single one of you has made us very proud in many different ways. A huge part of our success can be attributed to the way that this band is truly a family. It has taught us so much about who we are and who we will become. It’s been an honor to be leaders of such an elite group that is full of such great young men and women. Being able to witness how far all of you have grown over the short time that we’ve known you is amazing. Our position allows us to have a relationship with each and every one of you, and that is an incredible experience to have. Seeing all of you excel in such a short amount of time, shows us that this band does something to people. It gives us a purpose to do better and achieve great things. Amazing things come to people who work hard and live their lives the way that band has taught us. We could not be more proud. We should all be very proud of the season we shared with one another - incredibly proud. Being undefeated at every MCBA competition, as well as taking second place at a BOA regional, is not an easy task at all. This group pushed the whole way through. We can confidently say that we have never seen a group with as much passion and dedication for this activity than this one. We saw improvement on the field every day, we pushed until the very end, and our success at BOA is testament to that. This band has the potential to continue to become more and more elite. The seniors graduating are leaving behind their own legacy. Do you hear what they’re telling you to do? Are you going to let their legacy die, or are you going to grab hold and not let go? We have worked extremely hard to get where we are, and we’re sure that every single student, parent volunteer, and staff member that has ever been involved in this band has taken something from it. We have. A marching band isn’t a family unless every one of the students puts something into it. Although, even if every single marching band member pushes as hard as they can, we will always rely on those people that carried our band along with hard work and support. This is why we should all be able to say with the utmost amount of pride that we are members of the Walled Lake Central Viking Marching Band. Everybody has the potential for excellence, but very few are brave enough to achieve it, and you have. Thank you for the best experience of our lives. All three of us have had such a great time with you this season. From the jokes, making fun of each other, and more; you pushed us to become better leaders in every way. Not only have we become better leaders, but we have become better people as well. We were lucky enough to be able to develop these very strong relationships with each other, and it’s all because of you. You truly are the best band director in our eyes, and witnessing your growth as a leader throughout these four years has inspired many members of the band. Your dedication and hard work towards becoming the best teacher you can be has driven all of us to do the same in our own leadership positions. Thank you for such an amazing opportunity. We will never forget what you’ve done for us. MCBA members are being given the opportunity to pre-order state championship apparel through their booster organization. This is an optional purchase. WLCMB is coordinating the order for its members, should they choose to order. If you choose not to pre-order, some merchandise will be available the day of the championship, but the sizes you want may not be available. Our deadline is strict, as we need to get our team order to Clarkston by a hard deadline. They will not accept personal checks…to pre-order, you must be part of our group order. YOUR DEADLINE IS TUES, OCT 7…NO EXCEPTIONS…NO LATE ORDERS TAKEN!! PLACE YOUR ORDER IN THE BAND SAFE BY END OF PRACTICE TUES, OCT 7!! The WLP World Line's amazing show was voted "Fan Favorite" this year at the WGI World Championships in Dayton, Ohio. From a field of drumlines from across the country, they received the highly coveted trophy for "Fan Favorite", 2012. After placing 9th in this World Championship, the Fan Favorite award was icing on the cake, though no surprise after the thunderous ovation that rocked the University of Dayton arena following their electrifying performance! A-Line represented with pride, ranking 12th in their division in preliminary competition. We are so proud of both of our teams! Flight II – 8:15 A.M. Flight I – 12:00 P.M. Flight IV – 3:45 P.M. Flight III – 7:30 P.M.
Tickets are available the day of the event at Ford Field – CASH only. Ticket booth opens at 7:00 A.M.
Gates open at 7:15 A.M.
CLICK HERE for new NFL bag policy. The WLC Viking Marching Band performed during the 2013 Detroit Lions Thanksgiving Day half-time show on Thursday, Nov. 28, 2013. They were joined by the WLC cheerleaders, poms, and Twirl M's. They accompanied Michigan native, Tony Lucca, singer, songwriter, 2012 finalist on the Voice and former Mousketeer. Marching Band Pride in the Band Room! 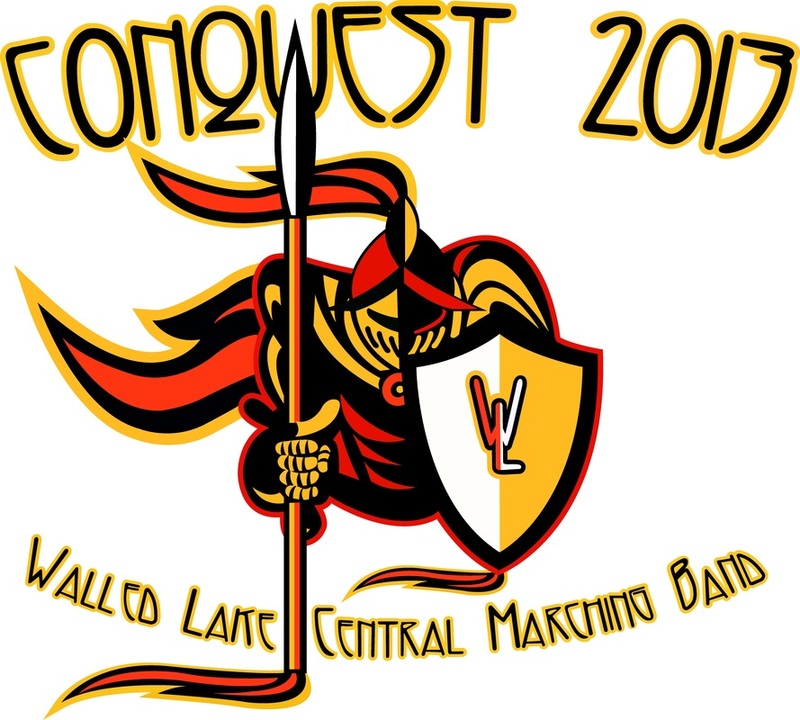 Congratulations to the WLC Viking Marching Band on capturing the MCBA Flight I State Championships on Saturday, November 2, 2013! With their show, "Conquest," they captured all 3 captions and first place honors with a score of 91.550. It was a great day at Ford Field, with amazing performances turned in by many teams. The Walled Lake Schools District Solo and Ensemble competition will be held Friday, Jan 31 and Saturday, Feb 1, 2014, at Hartland HS, 10635 Dunham Rd, Hartland, MI 48353. The MSBOA (Michigan School Band and Orchestra Association) sponsors an annual "festival" in which students can choose to play in either a solo or ensemble performance. Students are responsible for selecting, securing, and practicing their own music on their own time. Our final year at Camp Seagull was fun and filled with lots of happy memories. 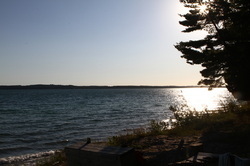 We'll always remember this lovely little spot on Lake Charlevoix! New in 2013! WLC Marching band is utilizing Charms, the online premier band student management, communication and financial system. Please follow the instructions entitled “Charms-Parent information” above to access the Walled Lake Central Marching Band student/member area and your individual student’s account. 1. Update your individual student’s account. Please remember to change your password! 1. You may utilize Charms to print the registration forms and return them forms by any of the below options. 2. You may pick up a Welcome and Registration packet in the band room after 4/25. (1) Drop Off: A Rubbermaid tub is located on Liza Sovel’s side porch, you may place any completed forms in the tub, at anytime. Tub Location: 7625 Oakley Park, West Bloomfield 48323 ***PLEASE DO NOT INCLUDE PAYMENT WITH FORMS. DO NOT LEAVE PAYMENT IN TUB. PLEASE...contact Julie Fegely at treasurer@wlcbands.com to arrange payment delivery OR payment can be made via Paypal on this website by clicking PAY ONLINE. (2) Drop off: Band safe on the floor near Mr. Roger’s Office in the Band Room. ***PLEASE DO NOT INCLUDE PAYMENT WITH FORMS. YOU MAY PLACE PAYMENT IN SEPARATE ENVELOPE AND PLACE IN BAND SAFE OR...contact Julie Fegely at treasurer@wlcbands.com to arrange payment delivery OR payment can be made via Paypal on this website by clicking PAY ONLINE. Mail to: Liza Sovel: 7625 Oakley Park Road, West Bloomfield 48323. PLEASE DO NOT RETURN ANY FORMS TO THE SCHOOL OFFICE OR TO MR. ROGERS. 4:00 – 6:00 Dinner break. Dinner provided. Prepare for show. Clean band room. 8:30 Show concludes. Put gear away. Turn in plumes. Dismissed. Keep practicing your Smart Music assignments and submitting them! last week of at-home camp before school starts! Join us @ 5:45 (practice over @ 5:30) for pizza/pool party at Brandon Mara’s house…2301 Welch Court…right onto Oakley Park, right onto Welch Rd. & Welch Ct. is about ¾ mile down on the right. CAR POOLING OR HAVING YOUR PARENTS DROP YOU OFF IS CRITICAL…PARKING IS LIMITED!!!! Viking Invasion is a fun event in which many fall sports teams get together to play/perform for each other. Each team is responsible for bringing different items to the free picnic. Congratulations to our Friends at Carmel High School for winning the 2012 Indiana State Championship AND the 2012 BOA GRAND NATIONAL CHAMPIONSHIP! They came in first with their 2012 show, "What a Tangled Web We Weave." This music is provided for use by the members of the WLC Marching Band, in order to help as they prepare for the 2012 season. Please do not share this music with anyone other than members of the band. The Collage Concert this year will be held on two nights: December 18 and 19, 7:00 pm. This will be a great concert, featuring many of the performance groups from Walled Lake Central. MANDATORY REHEARSAL AFTER SCHOOL DEC. 18! Once rehearsal is over, students will be provided with a pizza dinner. After dinner they will change into their concert attire and play the concert. They will NOT be going home until after the concert is over. On Dec. 19 there is NO rehearsal. They will be able to go home and come back for the concert. Report time is 6:00 for all musicians. They will stay until the end of the concert. Tickets will be available starting Wed, Dec. 5 online and during lunch hours at the WLC box office. Tickets are $5 per person. This event usually sells out! The Collage Concert this year will be held on two nights: December 18 and 19, 7:00 pm. This will be a great concert, featuring many of the performance groups from Walled Lake Central, including bands, orchestras, and choirs. Tickets should be purchased ahead, as this concert frequently sells out. Click on button below beginning Wed, Dec. 5, to purchase tickets at $5 each. Tickets will also be available beginning Dec. 5 during lunch hours at the WLC box office. The three of us have not only had the pleasure of being a part of this band, but have seen it grow exponentially throughout the last four years. As Drum Majors during this season we have come to know, love, and value each remember of this incredible organization. Through everyone's hard work and dedication, we were able to achieve the greatest of all accomplishments: leaving the field after every performance knowing that we did our best. As a result of this, we were to complete the difficult task of becoming back-to-bnack MCBA Flight I State Champions! We would like to take this opportunity to thank all the members. You have succeeded in the task of performing at one of the highest levels we ever have, while also fulfilling our purpose by being the best teammates possible. We would also like to thank the staff for prove icing a platform on which to succeed. Without our incredible band director, Mr. Rogers, this program could never have become what is is today. To the parents: your commitment to your kids and the band has been essential to our success. Alumni: we love you and the awesome support you always give us. Returning members, as next season comes upon you, draw from this season's successes and strive to achieve even more. Learn from your mistakes, challenge yourself, and make sure you member say, "I wish I had..."
We are extremely lucky to have had the opportunity to be your Drum Majors for the 2011 season. You have given us memories that will last a lifetime and for that awe will be forever grateful. To the senior class of 2012, it's been real over the past four years, and we wish you luck in all your future endeavors. Do your best, forget the rest. GO BAND! Halftime Field Show - Valhalla! Following halftime we invite all Viking Marching Band member to stay & be part of the "pep band" to play during the 2nd half of the game. It's a lot of fun! We need some helpers during the season to help feed the band members during some long rehearsals, long competition days, etc. Please go to: www.SignUpGenius.com/go/4090D4AAFAC22A64-food/4867674 to sign up! Tickets are available online for the BOA Grand Nationals at Lucas Oil Stadium in Indianapolis, IN, Nov. 8 - 10. 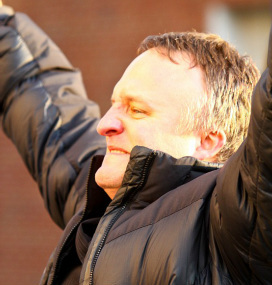 Marching Band Nabs 2nd Straight Title! 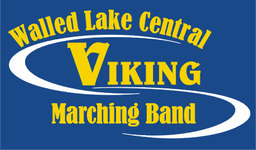 Congratulations to the Walled Lake Central Marching Band for bringing home the MCBA Flight I State Championship two years in a row. Their 2011 Field Show, "Through the Master's Eyes," was a stunning spectacle of sight and sound! They wowed audiences and judges across the state, taking first place at every regular season competition. Under the direction of Dave Rogers, this band continues to push the envelope of performance, leaving fans wondering, "What next?" Join us for our traditional family potluck celebration of our season. Light food will be served. This year's party will be held outdoors at the Richardson Center on Oakley Park Road, across from WLC. Event is Sunday, Nov. 4, 3:00 - 7:00 pm. Please dress for the weather! In addition, please bring lawn chairs and yard games. October 13 - 19, 2012 is Pink Vikings Week at Walled Lake Central High School. The student body, led by the fall sports teams, band, and choir, will be raising money for cancer treatment and research at the Charach Cancer Treatment Center, the Barbara Ann karma's Cancer Institute at Huron Valley-Sinai Hospital. Please support this cause by getting involved! There will be a benefit concert on Tuesday, October 16, 6:00 - 10:00. Our own Viking Marching Band will be performing 6:00 - 6:30. During the home football game Friday night, many items will be for sale to raise money for this cause. T-shirts will be on sale during the week at lunch hour. If you are interested in pre-ordering an MCBA State Championship Shirt or Pin, Missy Mergner is going to coordinate our group order. (we perform late in the day, and they often run out of sizes, so pre-ordering is a good idea). You must turn your order + payment in to the band safe by OCTOBER 22. Make checks payable to WLCMB as we need to give them one check for our whole group. Missy will be picking up our group order at Ford Field on the day of the Finals, Oct. 3. All concert bands will be performing in their spring concert on Wendesday, May 16, 7:00 pm in the WLC auditorium. Students report time is 6:00 pm. Wear jeans and PINK if you have it / black if not. Color Guard arrive NO LATER than 5:45. 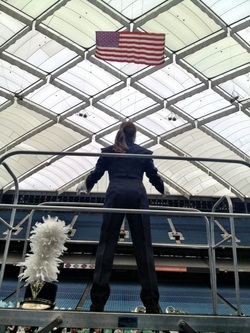 BOA Regional Competition @ the Pontiac Silverdome on Saturday, October 6. Seniors (62+) and Military (with ID) $3 discount. If you would like to order tickets ahead, please go to www.musicforall.org for more information. Following our halftime performance, we encourage the band members to stay for the 2nd half and be part of our pep band! Homecoming Football Game, Sept. 28! Practice on Friday goes until 4:00 and is in full uniform for all members including guard. At 4:00 we are going to get a full band picture in uniform in the stadium. 5:30 Parade begins in North parking lot. Indoor AND outdoor concession stands will be available. 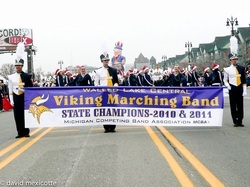 The Marching Band was proud to represent WLC in the 2011 "America's Thanksgiving Day Parade" in downtown Detroit on November 25. The temperatures were LOW, but spirits were high, as the band entertained chilly crowds along Woodward Avenue with Maria Carey's, "All I Want for Christmas is You."